Do you know that feeling when you just can’t seem to think or figure out what to do next? Or you can’t remember a name, a phone number, or an address? These are all symptoms of brain fog that can plague everyone once in awhile. But what happens when these symptoms become more frequent or start to occur daily? Did you know that heart disease is the leading cause of death for both men and women in the United States? This fact alone is cause to take a look at this disease, understand it, and examine what can be done about it. Epstein-Barr virus (EBV) is also known as human herpes virus 4 and it is one of the most common of human viruses. Most people in the U.S. become infected with the Epstein-Barr virus early in their lives, but most people are not aware of it. By age 35, EBV antibodies are present in most people, which indicates previous infection. Food allergies are a serious and potentially life-threatening medical condition which affect millions of people around the world and are becoming more and more common. Many people suffer with health issues related to food allergies and milder food sensitivities but aren’t even aware of it. As the main gateway into our body, the gastro-intestinal system, which includes the mouth, esophagus, stomach and 26ft of intestine, is susceptible to a range of problems. Problems can result in the common symptoms of nausea, stomach pains, vomiting and diarrhea. The abbreviation GERD stands for Gastroesophageal Reflux Disease Classic stomach ulcer symptoms include burning, intense pain in the mid-upper abdomen, and waking in the early morning, often with a sensation of abnormal hunger. If we are to believe conventional medicine, there is no cure for herpes. However, did you know that there is an effective, powerful and natural herpes treatment available? Infertility is a difficult issue to navigate physically and emotionally, and many women turn to conventional medicine for help. However, as a natural health wellness center, we know that there are more natural ways to improve fertility and help women become pregnant. Let’s look at these natural methods below. 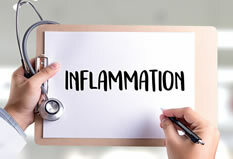 As technology advances, scientists and medical professionals are finding that chronic inflammation is the root cause of many health conditions prevalent today. Questions arise then as to what is causing chronic inflammation and how to reverse it. While certain molds are toxigenic, meaning they can produce toxins (specifically mycotoxins), the molds themselves are not toxic, or poisonous. However, because more than 200 species of mold are toxin-producing, this means that they are potentially poisonous and the health dangers from them are many. 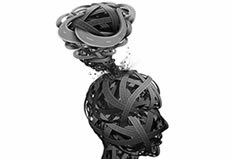 A neurological disorder is a disease that involves the central nervous system which includes the brain, spine, and nerves of the body. 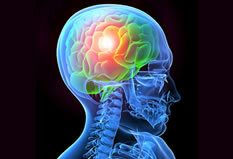 Neurological disorders can affect the body in many different ways including changes in the ability to walk, think, remember, breathe, swallow, speak, see, learn, and the like. Many patients have been suffering the very unpleasant symptoms of small intestinal bacterial overgrowth for years, without being correctly diagnosed. Many of them have been prescribed lots of antibiotics in the past for various health issues have had their gut flora changed drastically as a result. What is SIBO?